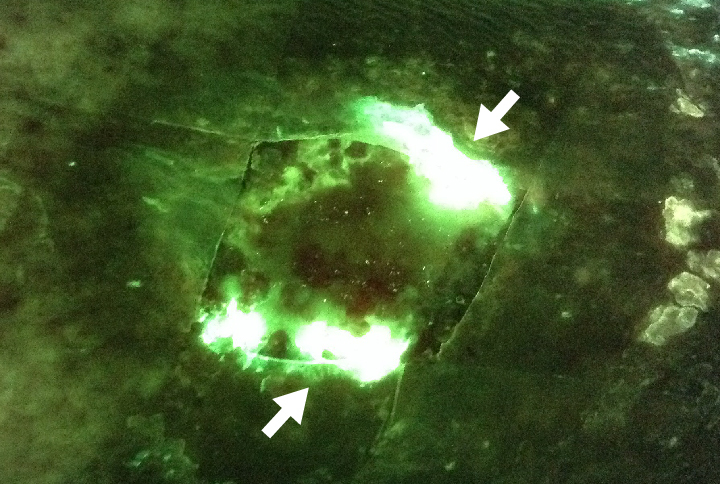 Pseudomonas aeruginosa is a significant contributor to hospital acquired infections where delay of targeted treatment, including antimicrobial therapies, is associated with increased morbidity and mortality.1 Unlike porphyrin-producing bacteria which are visualized by a red fluorescence signal on the MolecuLight i:X, Pseudomonas aeruginosa uniquely produces a cyan color fluorescence signal due to intrinsic pyoverdine pigments. 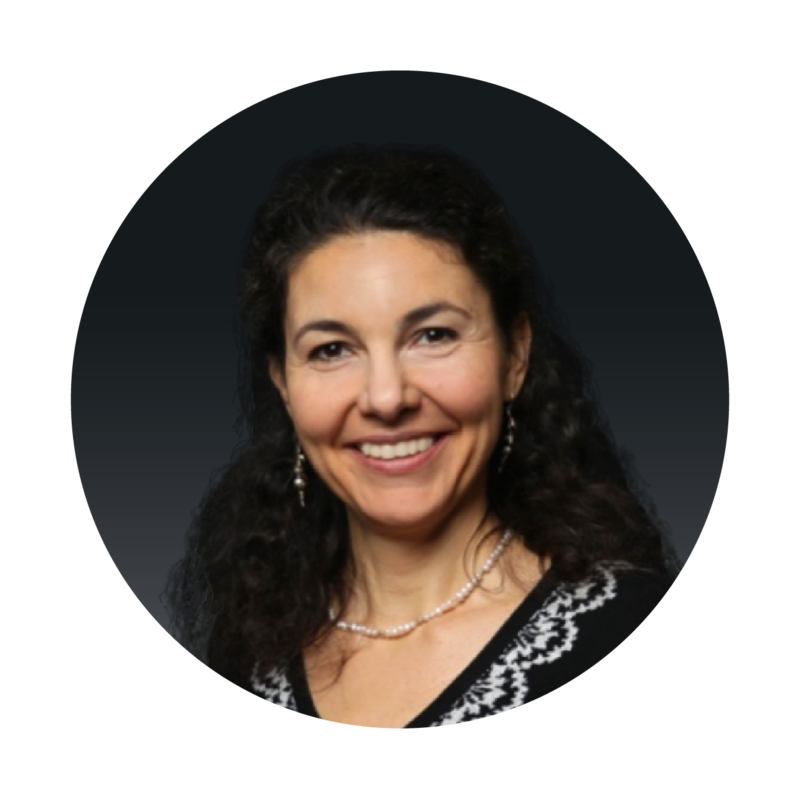 "I suspected colonization, and MolecuLight i:X guided me to efficiently target debridement and topical therapy application to ensure maximum removal of the bacterial load and prevent further contamination." Patient Condition: 78 year old female patient with a venous leg ulcer received local wound care and negative pressure wound therapy. Against the clinician’s orders, home care nurses stopped using a prescribed antimicrobial paste. 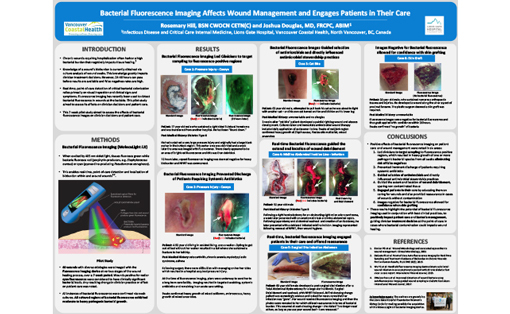 After guided fluorescence visualization of the wound, the clinician added larger silver dressings and antimicrobial cream to the patient’s treatment. 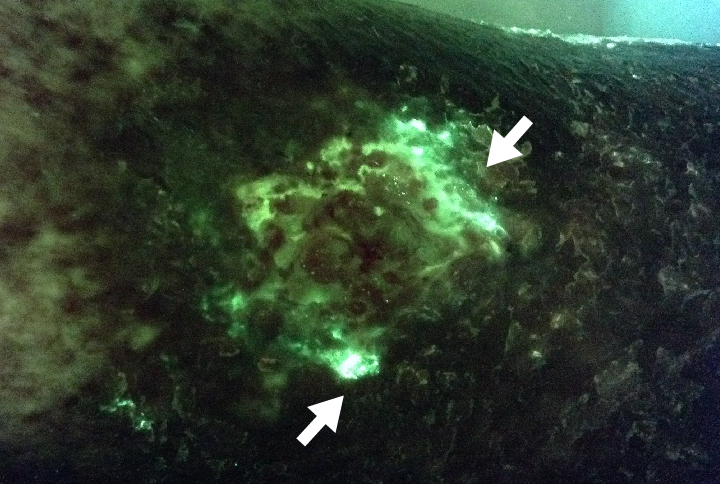 The clinician used the MolecuLight i:X to confirm the presence and location of Pseudomonas aeruginosa in a venous leg ulcer. As seen in Figure 3, the white/cyan color suggests heavy levels of Pseudomonas aeruginosa pre-debridement (the white/cyan color is due to signal oversaturation), which would otherwise be invisible to the unaided eye. 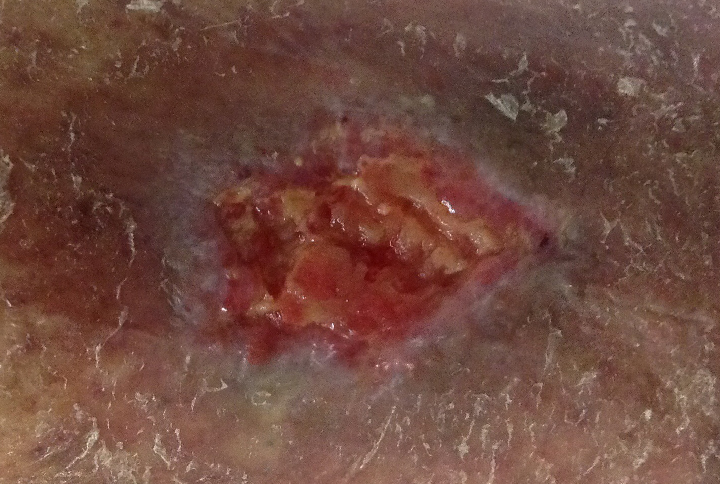 The clinician used this information to guide debridement of the wound to remove bacteria-colonized tissues, and subsequently re-imaged the wound after debridement to assess effectiveness of the procedure. 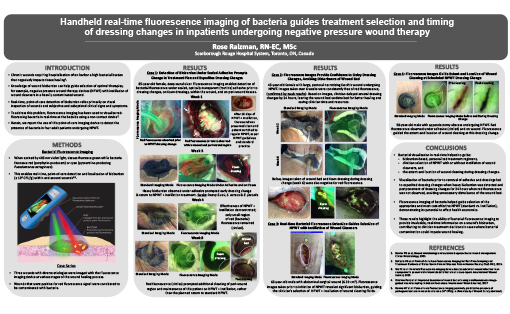 Figure 4 indicates a reduction in overall wound bioburden post-debridement, but not the complete eradication of Pseudomonas aeruginosa in the wound. 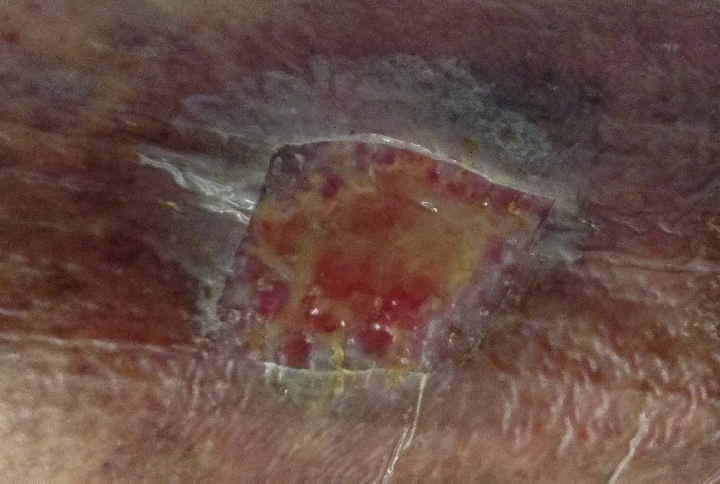 The MolecuLight i:X images (Figure 4) provided important evidence that Pseudomonas aeruginosa was still present after debridement, which helped the clinician make the decision at the point of care to select antimicrobial (silver) cream and dressings as well as applying a larger dressing to fully manage the remaining bacterial load. 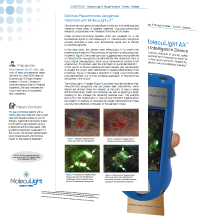 This case shows how the MolecuLight i:X may provide important insights about the location of bacteria so clinicians can target debridement and treat wounds more effectively, compared to the standard of care. Sader HS et al. Pseudomonas aeruginosa Antimicrobial Susceptibility Results from Four Years (2012 to 2015) of the International Network for Optimal Resistance Monitoring Program in the United States. 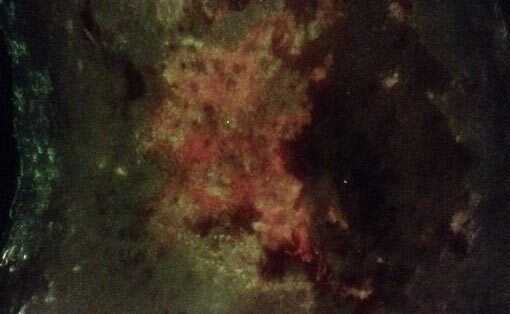 Antimicrob. Agents Chemother. March 2017; 61(3):e02252-16.